DeM Banter: we do live in interesting times…repeat of the 1970s, 1990s, now 2010s…see a trend? This will be a challenge to work through, we do need cuts …all over the federal government, and now is a time to think different in regards to how we do business…further we need a deeper dialog on the role of the federal government. What roles do we see as absolutely essential? Some of the issues below may seem small, but consider what we ask these men and women to do on a daily basis…would corporate America or congressional staffers find this acceptable? The signs are everywhere. A Navy gym in Hawaii is closing earlier. Army families in upstate New York are bracing for possible cuts in on-base child care. Enlisted airmen in California are paying out of pocket for office supplies. And in North Carolina, Marines on a range are pointing rifles and shouting, “Butter, butter, jam,” to simulate the sound of live ammo after being told there isn’t enough money for real bullets. Budget cuts are already hitting home, and hitting hard — and they’re about to get a lot worse. At installations worldwide, on ships at sea and at forward bases in Afghanistan where troops are still fighting the nation’s longest war, service members were bracing for the worst as the March 1 deadline approaches for the launch of the massive, automatic budget cuts known as sequestration. The ax almost certainly will fall on military budgets around the world as sequestration whacks 10 percent from previously planned spending — a cut of $55 billion in the first year for the military. On top of the potential long-term impact of sequestration, there is no formal budget for this fiscal year, which is almost half over. A “continuing resolution” that has kept the government limping along is due to run out March 27. At press time, lawmakers were still pointing fingers, and no resolution on either sequestration or the expiring CR was in sight. Meanwhile, commands and units around the globe are faced with squeezing a year’s worth of cuts into the remaining seven months of this fiscal year. As commanders scramble to prepare for the worst, troops are starting to see real negative impact on their day-to-day lives. “Military families are being used as pawns in a very cruel game up in Washington,” one Navy senior chief said. For now, military pay is protected, and money for the war in Afghanistan will be largely untouched, officials say. But shielding those funds will only intensify the impact on garrison operations at home, as well as training and education programs. In some cases, the cuts seem mild. For example, the Army’s recruiting command has halted purchase of command coins. 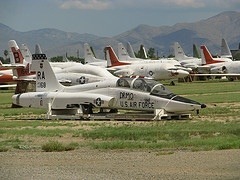 Holloman Air Force Base, N.M., will no longer staff a 24-hour welcome center. The Marine Corps gym in San Diego stopped handing out fresh towels to cut laundry costs. And Navy Installations Command could soon instruct bases to lower the heat and raise the air conditioning by two degrees each to cut energy expenses. A final decision on the move could come as early as the end of February, said CNIC spokesman Pat Foughty. Other changes will hit harder. Furloughs of defense civilian workers could have far-reaching effects on child care services, base schools, teen programs and family services and commissary operations. And the gears of nearly every administrative bureaucracy will turn a little slower because they will essentially be operating with 20 percent fewer employees. For junior enlisted members, the near term will likely mean a return to the bygone days when troops routinely pitched in on types of garrison duty. For example, the gates at Fort Hood, Texas, are increasingly manned by uniformed soldiers, not civilian contract guards. “You’re going to see soldiers doing things you’ve seen civilians do over the last 10 years — anything from mowing lawns and washing windows to replacing light bulbs,” said Katherine Hammack, assistant secretary of the Army for installations, energy and environment. “Someone who’s a sharpshooter … he’s not going to be practicing those skills,” she said. “He’s going to be washing windows and mowing lawns.” The cutbacks also promise to fuel tensions between officer and enlisted that could hurt morale. “It just seems like every time there is a budget issue, NCOs lose their training and the officers get to keep it,” said one Army sergeant first class with more than 20 years in uniform. One senior enlisted soldier said troops are grumbling about the senior officers who continue to travel to events like the recent annual Association of the U.S. Army conference in Florida. “The day is coming when I will have to tell a soldier, ‘No, you cannot go to training,’ and he/she will ask, ‘How come General Bigshot gets to go to Florida?’ I won’t be able to give an answer I believe in,” the soldier said. Coming at a time when about 66,000 troops remain in the Afghanistan war zone, the budget mess in Washington is fueling questions in the ranks about the larger national security strategy. 1. A staff sergeant at Beale Air Force Base, Calif., is buying office supplies with her own money and telling her airmen to bring trash bags from home. “I ended up spending $150 on a printer cartridge for the printer we use,” the aircraft maintainer said. “These items should be provided and [the senior noncommissioned officer] should be stepping up and buying stuff out of pocket if needed, not just ignoring it and letting us airmen and young NCOs fix the problem. 2. A Marine sergeant at Camp Pendleton, Calif., says his unit can’t order trash bags, pencils and paper until July; Marines are paying for such items out of pocket. 4. A Navy master-at-arms in California said he has recently been paying so much out of pocket for expenses that should be covered by the military that he’s thinking about deducting the expenses on his tax return. 6. Soldiers at Fort Stewart, Ga., have begun cutting grass, raking pine straw and removing downed tree limbs as part of garrison commander’s effort to save on contractor costs. 7. The Defense Commissary Agency announced that if sequestration kicks in, all commissaries worldwide will close each Wednesday from late April through September. DeCA officials say Wednesday is their slowest average sales day of the week. 8. Some church services were canceled for the rest of this fiscal year at Naval Air Facility El Centro, Calif., because the base is low on money. 9. Families at Chièvres Air Base, Belgium, heard Feb. 12 that their “Self Help” store was closing, meaning military families will no longer have free access to lawn mowers and other yard equipment, rock salt for icy sidewalks, trash bags and other household goods. 10. Fitness center hours are being cut back at a number of bases, including Moody Air Force Base, Ga., and Naval Station Pearl Harbor, Hawaii. At Pearl Harbor, the gym used to close at 10 p.m.; now it’s 8 p.m., which makes it harder for sailors who work overtime to get in a workout. A Navy hospital corpsman taking night classes at a nearby school said he can’t make it to the gym in the evenings now. “We have to wake up even earlier the next workday to get a gym session in,” he said. 11. An airman at Cannon Air Force Base, N.M., says the honor guard’s clothing budget was cut and some airmen must wear pants with hems too high above the shoes. 13. A Marine sergeant says the gym at Camp Pendleton is no longer handing out fresh towels to save money on laundry costs and has canceled its satellite radio subscription. 15. One Navy recruiter says travel budget cuts are forcing him to cover his largely rural region entirely by phone, which hurts his ability to draw the most high-value prospects. “I assure you that selling a highly qualified minority (and the family) to join the Navy over the phone is not going to happen,” he said. 16. At an infantry training school for Army captains at Fort Benning, Ga., personnel officials used to come and meet face to face with junior officers to discuss their follow-on assignments, but one captain said that is now done by video teleconference. 17. An Army judge advocate general said a near-freeze on TDY money is keeping young military lawyers from getting the specialized training they need. “Practically all TDY travel has been canceled, depriving many soldiers of valuable training,” the JAG said. 18. A major at Army Forces Command headquarters in North Carolina said travel to and between the command’s 17 national locations was routine until this year, when it was sharply curtailed. 19. A soldier in Afghanistan said about a dozen troops from his brigade were planning to fly home to visit the Army’s training center at Fort Polk, La., to debrief units slated to take over the same area in Afghanistan this year, but that trip was canceled at the last minute. 20. An Air Force pilot said the sudden dependence on videoconferencing has spiked demand for the few conference rooms that are equipped with video gear, especially facilities cleared for classified information. 21. A senior NCO Marine at Camp Lejeune says his unit’s use of government vehicles is being tightly scrutinized. 22. One Army captain spent weeks haggling with bureaucrats to secure the right “funding codes” for a three-week class he’s taking in South Carolina. “Now more than ever, it is hard to nail down who is going to pay for something. I had to fight with the unit that owns the schoolhouse for the school I am attending,” the captain said. 23. The Marine Corps Reserve command in New Orleans says severe limits on temporary travel are hitting them especially hard. No travel can mean no training for reservists. “Our lifeblood here … is having the ability to travel around to our 183 Reserve sites,” said one Marine officer. 24. A Marine lieutenant colonel at Quantico, Va., is urging his Marines to get their pistol and rifle qualifications out of the way early this year in case budget cuts shut down the shooting range. “We are trying to front-load all of the training we can into the early part of the year,” the officer said. 26. A Marine corporal in Japan said his field operations training was a disappointment because each howitzer received only 90 rounds rather than the 500 that has been the standard allotment in recent years. “It made things go a lot slower,” the corporal said. 27. The Navy recently canceled a nationwide drill involving base security operations and said it will instead hold a series of local security drills. 28. Army Medical Command in January abruptly canceled a two-month senior leadership course for E-7s because of money concerns at Joint Base San Antonio-Sam Houston, according to one Army sergeant first class. 29. The Army at Fort Hood, Texas, is scaling back Warrior Adventure Quest trips, part of a resilience program that sends soldiers just back from deployment out for high-adrenaline activities such as rock climbing, mountain biking and kayaking. It’s designed to reduce future misbehavior and accidents. The program is shrinking from 17 slots to five, according to an Army official familiar with it. 30. At the U.S. Military Academy at West Point, N.Y., funding at the library is running low, forcing the cancellation of many subscription services used by students and faculty. The dean is thinking of canceling the “semester abroad” program for this fall, and summer programs will be scaled back or canceled, according to a Jan. 13 memo obtained by Military Times. 31. At the Naval Academy, summer training may be canceled for midshipmen. 32. A Navy corpsman attending school in San Diego said she was told that her reassignment to her next duty station may be delayed due to budgetary problems. 34. At Minot Air Force Base, N.D., buying airmen a pair of cold-weather boots now requires a commander’s approval. “This is a change from the days where there was no question on funding for boots. Airmen needed them; therefore, we purchased them with no question as to whether the funds were available,” said deployment manager Jessi Gray. 35. The Navy Blue Angels and Air Force Thunderbirds aerial demo teams are expected to cut their performance schedules. 36. A Marine gunnery sergeant at Camp Pendleton says printers are in short supply. “This causes the company clerk to constantly be bombarded with requests to print different items for different individuals. These issues will only get worse as the computers we currently have start to fail and there is no money to replace them,” the gunny said. 37. Marines at the engineer school at Camp Lejeune abruptly canceled an array of classes for enlisted troops until the commander “gets a better picture” of the budget situation, according to one junior officer. The first classes to be “turned off” are those “non-[military occupational specialty] producing” schools that teach skills but do not lead to a new career designation, the officer said. 38. An Army captain in a tank battalion at Fort Benning said “all training has been canceled through the fiscal year.” His unit has decided that even starting up their M1A2 Abrams tanks is too expensive, and the command is talking about putting them on trailers for storage. 39. A Marine sergeant who recently deployed to Japan said the battalion-size field exercise that was planned was reduced to a company-size drill. “The whole point of a battalion field op is to have everyone working together. New guys are just missing out on that and aren’t going to see that until combat happens,” the sergeant said. Staff writers Andrew DeGrandpre, Sam Fellman, Joe Gould, Hope Hodge, Dan Lamothe, Devon Sorlie, Gina Harkins and Josh Stewart contributed to this story. Looming cuts in the defense budget will fall heavily and disproportionately on training and education, making it much harder for some troops to get promoted. Thousands of troops are likely to miss out on education opportunities in the coming months as their commands crack down on temporary travel or schools simply shut down some courses to save money. For example, Army Medical Command recently canceled a senior leadership course for sergeants first class. So for those roughly 100 soldiers who were slated to attend the course — a requirement for advancement to master sergeant — the next promotion board is effectively out of reach. “You just stopped their careers,” said one Army sergeant first class who is familiar with the course cancellation at Fort Sam Houston, Texas. Some top Pentagon officials acknowledge that the budget cuts will affect career progression. “We are going to have to cancel some of our schools, and that could delay the qualifications for promotions, at least in the short term,” Army Chief of Staff Gen. Ray Odierno told reporters in Washington recently. Top Navy leaders said sailors will be unable to get the kind of training and qualifications that are typically touted before promotion boards. “They will not be able to practice their craft, to earn the underway qualification, get the experience … the carrier landing at night, the underway replenishment in adverse weather, maneuvering in a high-sea state,” said Adm. Mark Ferguson, vice chief of naval operations. “At a macro level,” that may not put individual sailors at a disadvantage, Ferguson said, noting that “we still need to promote people.” For the Air Force, the budget cuts will mean fewer flying hours — potentially 200,000 hours cut over the rest of this fiscal year, officials say. That will force many pilots and units to fall below current readiness standards. The initial pilot training pipeline also may see dramatic cuts this year. The Marine Corps also is canceling education classes and limiting training opportunities, and a reduced operational tempo for Navy ships will give Marines fewer opportunities to deploy. The end result will be troops trying to make their more limited experience sound better on paper, which is not likely to go over well with promotion boards. Some junior troops say budget cuts might be good for the Defense Department. At Fort Hood, Texas, Army Sgt. 1st Class Paul Arends helps run a supply shop and says budget pressures have ratcheted up the scrutiny he gets when he wants to order a new part. And while a sense of unease may be rippling through the force over what’s to come, some say there is ample room to pare defense spending. An Army sergeant first class at Fort Belvoir in Virginia wonders why the top brass can’t manage their budget the same way they expect others to down the chain of command. “Money is tight in my unit, but we actually manage a budget at our level,” he said. “It sounds crazy, but before we spend, we analyze what we need — do we need it, is there an alternative, can we afford it? I think a shrinking budget is not a bad thing. … There is much that can be cut or scaled back in DoD, even from my view down in the trenches. I’m curious about this article. The page says the post is from February 28, 2013, yet the article is dated March 4, 2013, and I’m reading this on March 3, 2013. Feo: I am simply “A Curator of Strategy, Leadership, Spirituality, and Rock and Roll”…. I found the article and posted as many of our readers are in the military. I would assume, like many periodicals, Army Times publishes prior to the date on the magazine and this is from the magazine of the coming week, this is already on the racks and covers the future week…thoughts?